Ducati announced that the official photos of their new models, Scrambler will be shown through Tumblr or Ducati's official microblog. It will be the final stage of the Italian manufacturer campaign before the official launch. In its official statement, Ducati chose this way to attract the attention of Ducati fans who can not watch live the launch of the Scrambler at Intermot, Cologne, Germany. Ducati explain, this is the right strategy because the Scrambler is not just a regular motorcycle. This model is not the old motor, but the modern motor will continue to be produced by Ducati. As reported by Autoevolution on Tuesday, September 30, 2014. 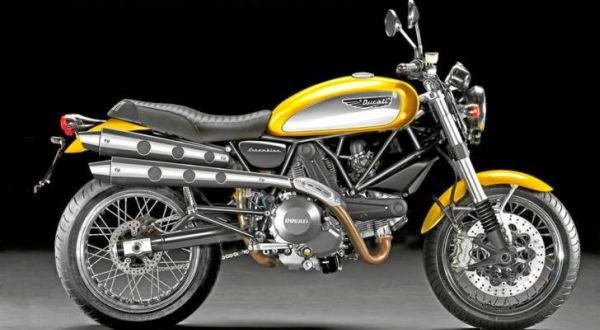 In the official website, Ducati Scrambler is described in a variety of ways ranging from a group of people who drive Scrumbler, someone in action on Scrumbler, and Scrumbler being washed.